CMBG3 is honored to be a co-sponsor of the upcoming Women In Business luncheon held during the Perrin conference in Beverly Hills, California. Please join us on March 8, 2018 at 12:30pm in the Le Grand Trianon of The Beverly Wilshire hotel for the lunch, and meet some incredibly successful and influence women in business today. CMBG3’s Christine Calareso will be in attendance, and CMBG3’s Luis Barba will also attend the conference. 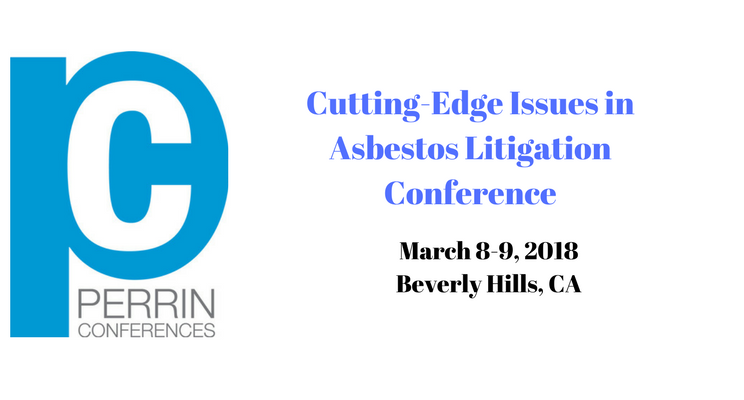 The luncheon is held as part of the “Cutting-Edge Issues In Asbestos Litigation Conference” organized and hosted by Perrin Conferences. Perrin Conferences brings together national leaders in specialty legal spheres, ensuring their events deliver innovative content, networking opportunities and career development. Attendees at Perrin conferences gain insights that cannot be found elsewhere.